In love with Formula 1: French GP / Qualifying: Mercedes stamped their dominance on Le Castellet! French GP / Qualifying: Mercedes stamped their dominance on Le Castellet! Rain had washed out the Circuit Paul Ricard on Saturday morning, so the track was dirty, as the qualifying got underway. This was the first qualifying session at Circuit Paul Ricard for 28 years! The track conditions kept improving throughout the first session. Mercedes had brought an engine update to France, and Hamilton was the fastest man of the session, followed by Red Bull's Verstappen and Ferrari's Räikkönen. The excitement intensified at the end of the session, as it started to drizzle. McLaren had a pitch-black qualifying, as either Alonso or Vandoorne didn't make it through to Q2. Williams' streak of poor qualifying performances continued, as both Sirotkin and Stroll were once again out of Q2. On the positive note, Sauber showed improved performance, as stunning Leclerc made it P11 and teammate Ericsson P14 in the first segment. It seems that the Swiss team has taken a major step forward in terms of performance. The drivers were queuing up at the end of the pit lane minutes before Q2 started. That was because there were occasional patches of light rain. Once again Q2 was all about tyre strategy. 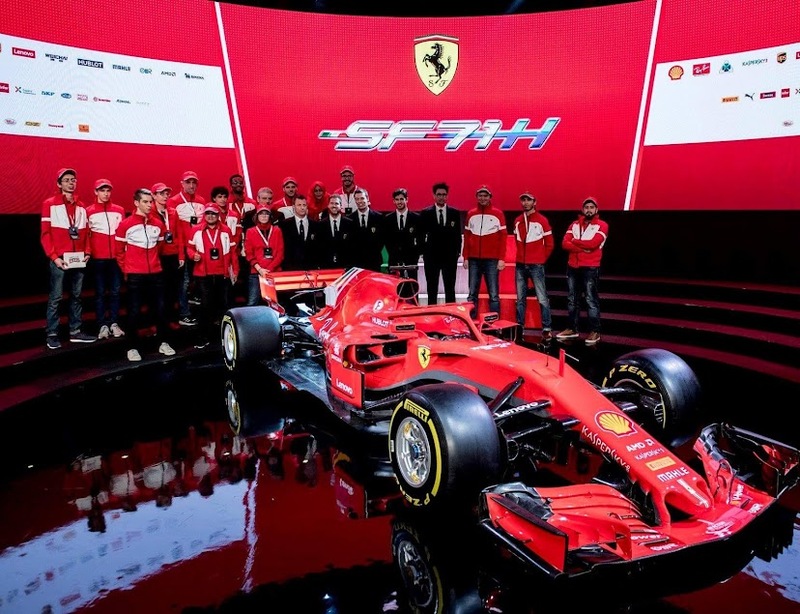 Both Red Bulls -like the Mercedes- went for an alternative strategy to Ferrari and the rest of the top ten, setting their fastest lap times on the harder, red-walled super-soft tyres. In spite of the tyre compound, the Mercedes ace Hamilton was the fastest man on track. There was no rain at the end of the session, and the red-suited drivers managed to set excellent lap times on the ultra-soft Pirellis. Sebastian moved second, only a tenth shy of Hamilton's pace. Kimi's pace was convincing as well, and the Iceman went third fastest. Once again, the star of the session was Sauber's Leclerc, who was the last driver to make it in to Q3! This was Sauber's first Q3 appearance since the 2015 Italian GP. Leclerc was massive eight tenths quicker than his teammate Ericsson, who ended up as the slowest of the runners in P15. Also the Force India duo of Ocon and Perez were out of the final session, in addition to Renault's Hulkenberg and Toro Rosso's Gasly. With the rain having cleared off, it was a straight shootout for pole. But with just four minutes of the session gone, Haas' Grosjean hit the kerb at Turn 3, ending up crashing into the wall. Grosjean's crash brought out the red flags and stopped the clock. Hamilton took provisional pole, edging teammate Bottas by 0.095s only. Sebastian was third fastest, 0.178s shy of Hamilton's benchmark. Kimi had made a mistake in the final sector, and the Finn was massive eight tenths down on the pace-setting Briton. In addition to this, Kimi's second attempt left a lot to hope for. It was a bit bizarre, that Kimi was sent out, although there was still a lot of time remaining and the others were still at the garage. There was also a misunderstanding between Kimi and the team, in terms of how many laps Kimi had fuel for... All in all, Kimi couldn't string a decent lap together and ended up sixth. The Iceman was a massive one second off the pace! But the day belonged to Hamilton, with Mercedes' quadruple world champion continuing to re-write the record books. This was already the 75th career pole for the Briton. Bottas made it a front row lockout for the Silver Arrows. Sebastian, too had a scrappy final effort, which saw him end up in third, 0.371s down on the pole-setter Hamilton. However, worth noting is, that Sebastian has made it in the top three for every race so far this season! That is an impressive streak. In P4 and P5 came the Red Bulls of Verstappen and Ricciardo, who had no chance to match Mercedes' pace. Renault's Sainz qualified 7th, and Sauber's Leclerc was stunning eighth! The Haas duo of Magnussen and Grosjean rounded out the top ten, although Grosjean hadn't been able to set a lap time due to his crash. How about race pace then? Will Ferrari and Red Bull be able to challenge Mercedes for the victory? I really hope so. Ferrari will start to the race on the ultra-softs, which should benefit the red-suited drivers at the start. Hopefully Sebastian can make it past Bottas and maybe even Hamilton, going into Turn 1... I actually don't know about today's weather forecast, but I hope it's going to be an eventful and action-packed race!